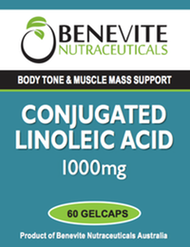 Benevite Nutraceuticals™ contains Conjugated Linoleic Acid (CLA) which has been shown to increase muscle mass while reducing bodyfat and studies have also shown remarkable anti-catabolic, antioxidant, immune-enhancement and anti-cancer benefits. Several other studies have even revealed dramatic cholesterol-reducing effects. CLA may be the most significant bodybuilding nutrient discovered this decade. This naturally occurring nutrient appears to have the ability to help you pack on muscle, reduce bodyfat, and promote your health. 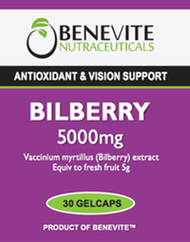 Adults, Take 1 gelcap 1-2 times daily, preferably 1 hour before meals. WARNING: If you are pregnant or lactating, consult a healthcare professional before using this product.